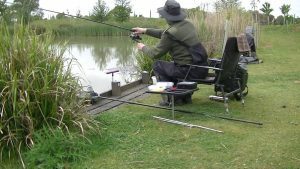 Dead bait rigs – My two favourite Pike dead bait rigs I use on my local rivers. 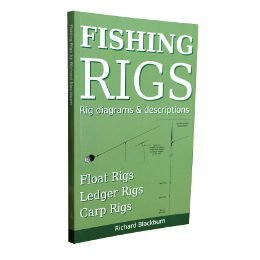 They are designed to offer little resistance to the taking Pike and are as simple as possible. This first one is a standard running ledger, I like to use this in shallow water or when casting more than about ten yards. I always use it down stream of my position allowing the flow to keep everything neatly in line. 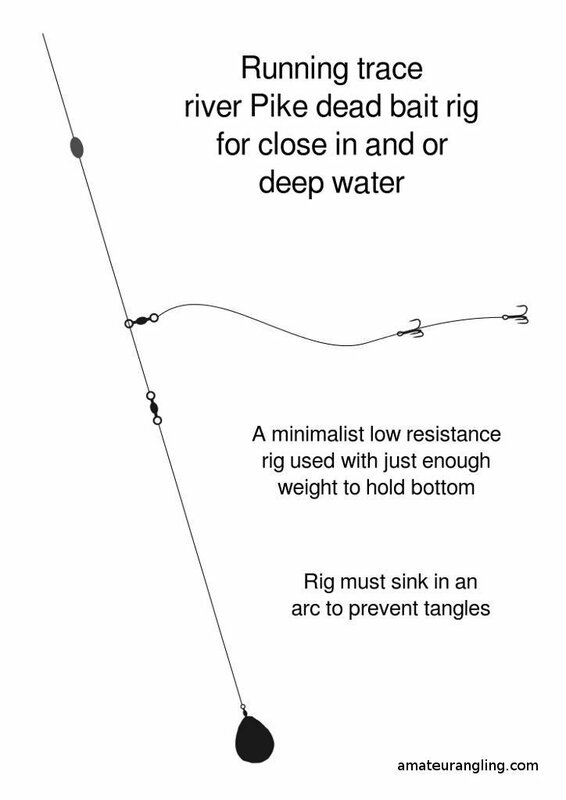 I use weak mono for the bomb link in case of snags, but that’s about it, a very simple and effective rig. One of the rivers I fish was dredged back in the seventies, result being the water can be up to twelve feet deep close to the bank. 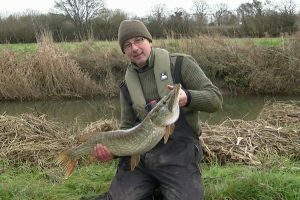 The Pike are often hugging the bank in this deep water especially if the tide is on the move. A normal running ledger has the line at such a acute angle I feel it offers too much resistance. So instead I use this very simple running trace rig which has proven to be quite successful. I have included a float stop on the line to stop the trace running too far up. At first I just dropped the rig in the margin and backed away to my seat, but the rig often tangled. I found the dead bait being very light trailed behind the rig twisting and turning as the weight pulled it down, needles to say the bait would wrap it self around the main line. 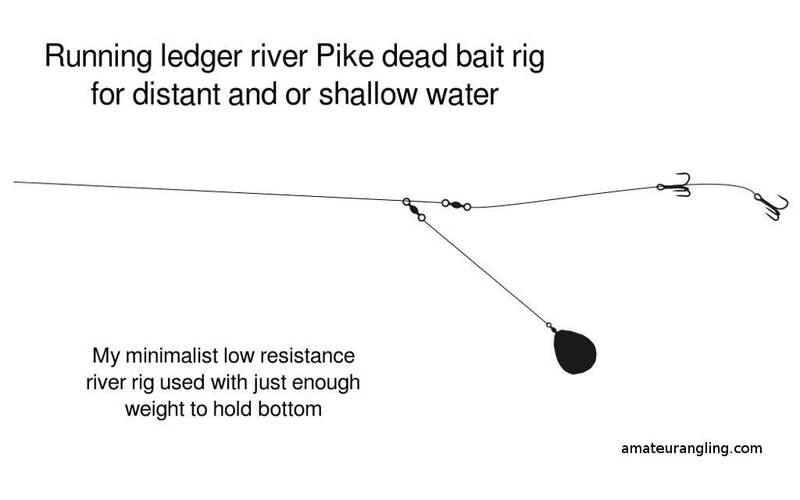 So now I cast out into the river, trapping the line as the rig hits the water, then allowing the rig to arc down towards the bottom of the bank without tangles. I also use a float paternoster rig that is very similar you may be interested in. With either rig, use a bomb only just heavy enough to hold bottom. I used to think a heavy weight would act as an anchor, fixing the bottom end of the rig. But I believe Pike could often feel the weight and would drop the bait. Now I use a much lighter weight, fewer the fish drop the bait resulting in more Pike landed.